21-year-old immigrant, college dropout, & developer, designer, founder who loves to cook, think about life, and listen to Chopin! 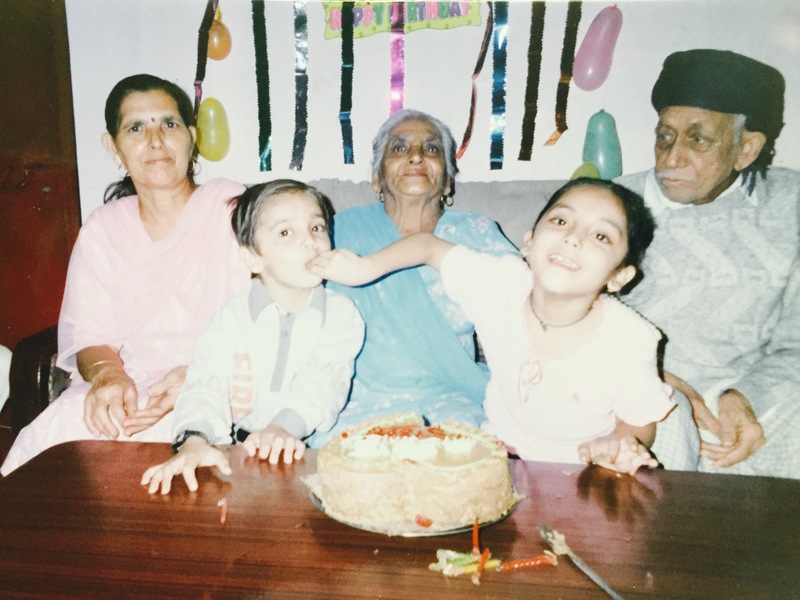 Hi, I am Keshav and I am currently a Technical Product Manager at Webflow. I am a former founder at Homeroom, a college dropout, and have a couple of quirks. I love designing, building, and delivering products built on psychological research, human-centered design, and impact. After work, I'm most likely playing a Chopin's piece on my keyboard, writing Shakespearean sonnets, learning to design illustrations or building application with React. I was born in India and lived there for 11 years. Growing up, I was competitively sketching, participating in "Mental Math" competitions where we had to do perform calculations quickly in our head, and I loved playing cricket. Being a cricketer was my dream (ask any kid born in India and they would say the same), but some things are just not meant to be. My parents and I suddenly moved to the U.S for personal reasons, and when we moved here, we had no extended family. On top of that, I couldn't speak English. To combat that, I would go in front of a mirror and recite words from my school notebooks to practice my English. ‍Fun fact: I didn't speak English for 2 years because I didn't want to get it wrong or develop an accent. I stayed quiet, observed my peers speak English and when I moved to a new school, I started talking. My parents had to find a job and since then, they have spent their life working at a gas station. My older sister, on the other hand, started working at 15 so growing up, I was alone at home, for most of the time. It would hurt me to see my dad bike to work because he couldn't afford a car. I saw the hard work and sacrifice my parents made for me and my sister and though I didn't talk much to them, I greatly appreciated them and everything they had did for me. In school, I was a good student, but not the "popular" one and since I was so distant from my family, all I really wanted was to fit in with others. That's how I got into hip-hop and rap, especially listening to Eminem. A lot of students in my high school were Lakers fan so I became a Lakers fan. I wanted to connect with them, be like them, do the same thing they do, and in being trying to be like everyone else, I lost my uniqueness. After high school, I moved to San Jose State University in 2014 to do my undergraduate in Computer Science. In high school, I had briefly touched HTML and CSS, but programming was a new paradigm. I didn't know anything about coding, so I was excited to finally learn. My first year, I met a new friend (from our class's Facebook group) and we bonded over being a Lakers fan. Not too long after, he told me an idea he was working on and wanted to build a "startup" thing. At that time, I didn't even know what a startup was. It never occurred to me that I can build a company like Facebook; I've only thought of working at one. I was excited to get my first taste of "startup" but let's be honest, the two of us were 17 and didn't know anything about a startup, and barely had the programming skills to build an app so it went nowhere. Soon after, I found myself alone as my close friends stopped talking to me (freshmen are petty lol), and I felt lonely...again. The way I would cope with being lonely is going on top of the roof and gazing at the stars. I would look at hundreds and thousands of stars in the night sky and compare my tiny problems to the vastness of the universe. For the first time, I felt like I could be happy, even if I am in solitude. Gazing at stars became an escape and a hobby every time I felt lonely, sad, incapable, because looking at the stars would put my problems into perspective. Three years into college and I found myself not learning much from my classes. The CS concepts we were learning felt boring, the subjects that I once was passionate about became stale once I took a class about it. I hated the way school was teaching me and instead of sparking curiosity within me, it made me dislike the subjects I once enjoyed. I map this problem in an article I published on Medium, "The problem within our Educational System." I, then, decided that the best I could do right now is leave college. I was 19 and I could always come back to college, but I can't always be this young, try something new, without any obligations (family, loans, mortgage, etc). All I had to do was convince my immigrant parents (that's an article in and of itself). Once my parents agreed, I decided to drop out of college after my current semester. I decided to use this current semester to talk to professors and students to learn the challenges they had, just for fun. When I spoke when them, I learned about the problem of retention and engagement. As a student, it was clear to me that students' retention gradually declined as the semester passed by, but this was an epidemic. I met up with a mentor of mine and he suggested that I try doing something about it. I published another article on Medium called "Why I dropped out of college", which blew up and got the attention of so many students who agreed and felt the same way. I knew there was something here, and I went all in and began working on my first official startup. You can think of Homeroom as OkCupid and Slack for students and Mixpanel for professors. 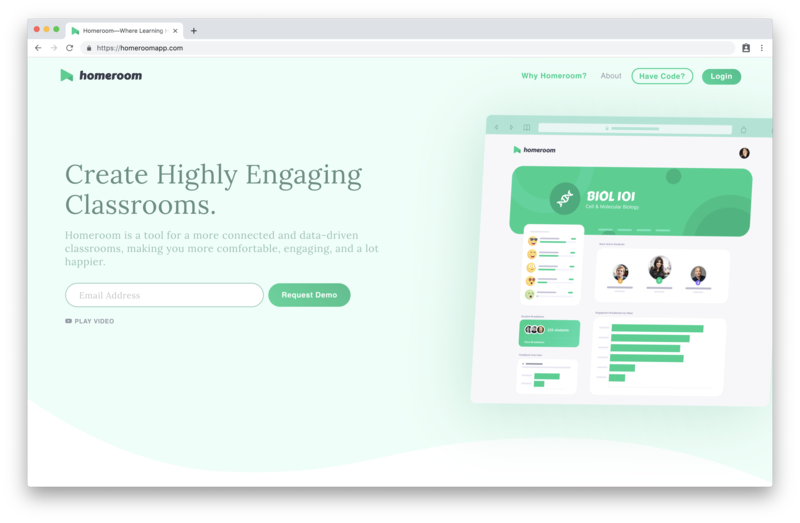 Instead of going to your class without any context about who is in the class, Homeroom would show you a list of students you should meet, based on a matching percentage, which is calculated by shared interests, hobbies, and other criteria. Then, students could message each other and drive the communication in channels, such as #classroom or #random. Students could also provide real-time feedback to their professors to share how they're feeling and doing in the class. Professors, on the other hand, could use these data points and get a report of how students are engaging and feeling in their class. Homeroom used student engagement and feedback to provide professors with suggestions to improve their classroom experience. For example, if CS students in a class are providing good feedback and are engaging a lot, while History students are providing bad feedback + engaging less, Homeroom would provide these actionable insights so professors could have a clear picture. We piloted in a couple of colleges, but as a 20-year-old, first-time solo founder, things were rough. I didn't know how to reach out to professors, build multiple features but didn't nail down one right thing, tried managing everything, from designing to developing to sales/outreach, and I was completely burnt out. The combination of a dire sales cycle, along with a family situation, I decided to take a step back from Homeroom. I will be publishing an article that dives into the mistakes I made as a first-time solo founder. I reflected on my journey, the mistakes I made, and I knew that the right next step would be to work somewhere I could learn, grow, and be more prepared. I also decided that getting a job as a Software Engineer would make more sense, both skill and financial wise. I met up with my mentor, Eric Bahn in Palo Alto, and he told me that I should consider being a PM, given how much I had done for Homeroom, from market research to customer interview to designing wireframes/prototypes to developing the frontend and backend to reaching out to deans, to trying to build a sales pipeline. He mentioned that he knows a company called "Webflow" and they are building something really amazing! I told him to connect me with the founder and Eric did. Becoming a PM never occurred to me, but I thought, "Hey, it wouldn't hurt to try." I met up with the founder, Vlad, at a sushi place in downtown, Mountain View. We sat, chatted about our immigrant background, and suddenly connecting on the mission of breaking down the barrier for building on the web. As a developer, building the smallest things required a lot of setup, and I hated it. Vlad had a grand vision to democratize building for web through Visual Programming without code and that resonated with me. I love meeting new people and ever since dropping out, have met some amazing people that have become my close friends, mentors, and my startup advisors. If you'd like to chat, shoot me a DM on Twitter and let's grab coffee (first drip on me).